EJIL: Talk! – The Armenian “Genocide”? Home EJIL Analysis The Armenian “Genocide”? Given the difficulty in proving the special intent to destroy, the charge of genocide is not one to be brought lightly. No-one can reasonably argue with the clear statements made by German President Joachim Gauck in his speech on Armenia held on 23 April 2015: “one hundred years ago, hundreds of thousands of members of the Armenian people” became “the victims of planned and systematic murder”. It is probably also accurate to say that these acts, for which the Ottoman Empire was responsible, were perpetrated against the Armenians “because they were Armenians”. But did these acts really constitute “genocide”, as Gauck further stated, in a legal sense? According to the Convention on Genocide adopted in 1948, we are facing a genocide when certain acts are committed against a “national, ethnical, racial or religious group” with “the intent to destroy [it] in whole or in part”. The term derives from the Greek γένος (race, tribe) and the Latin caedere (to kill). The Armenians doubtlessly constitute such an (ethnic and religious) group; however, did the Turkish perpetrators really act with the required intent to destroy? Is it even possible to designate prior conduct using a legal category that did not exist at the time said conduct occurred? These are by no means mere juristic quibbles. The prohibition of genocide constitutes so-called peremptory international law (ius cogens). The “prevention and punishment” demanded by the Convention is thus directed not only at the perpetrating and territorial State, but at all States on our planet. They are all called to prevent genocide and – if prevention is unsuccessful – to punish it. The extraordinary degree of wrongdoing inherent in genocide – the attack on one of the abovementioned groups and the denial of its right to exist implicit in this attack – makes it the “crime of crimes”, to which particular stigma is attached. Thus it is quite understandable that a State should try to defend itself against the stigmatisation associated with genocide. Of course it is possible to qualify genocidal conduct as such ex post, retrospectively, as it were. However, the question of whether it is admissible to retroactively prosecute and adjudicate conduct as “genocide” is a different matter. According to the dominant understanding in civil law jurisdictions, the legality principle in its variant of the prohibition of retroactive legislation (nullum crimen sine lege praevia) impedes such retroactive adjudication. Thus, a person can only be held responsible for a conduct on the basis of the criminal law applicable at the time that the events took place. This is why the perpetrators of the Nazi Holocaust could not be convicted of genocide – at least not by German courts – but “only” of mass murder. Nor could the Turkish perpetrators have been convicted of genocide for their acts (which predated the Holocaust), even if genocide had been defined as an offence and a court set up immediately afterwards. Of course, from the perspective of international criminal law a more liberal understanding of the prohibition of retroactivity may be called for. Accordingly, the punishability on the basis of customary law or even general principles of law may be sufficient. This is the path taken in the so-called “Nuremberg Clause” of Article 15(2) of the International Covenant on Civil and Political Rights and Art. 7(2) of the European Convention on Human Rights (which is why Germany originally made a reservation to the latter article). Interestingly, Article 9 of the American Convention of Human Rights does not contain such an exception and the prohibition of retroactivity has been confirmed for the International Criminal Court (“ICC”) by Article 22(1) of the Rome Statute. In any case, this issue is not decisive, as the prohibition of retroactive legislation certainly does not preclude the retrospective – extrajudicial – classification of past conduct as genocide. To be sure, however, in this respect, too, the legal standards of the Genocide Convention must apply, at least if the aim of blaming a given group of persons or a nation with genocide is to achieve the abovementioned legal consequences and moral stigmatisation. “Genocide” is nothing but a legal term; otherwise it will degenerate into a vague concept of political combat. As a legal concept, the crime of genocide requires the intent to destroy. This intent renders it – to use the language of criminal law – an offence with a surplus or ulterior intent, i.e., an offence in which the specific mens rea (the perpetrator’s intent to destroy the group) goes beyond the actual actus reus (the objective acts of aggression). Herein lies the crux of the matter. If charges of genocide are brought, then this special intent (dolus specialis) has to be proved. However, the German President’s speech made no mention of it. And this proof is also a problematic issue for specialist historians, who well-nigh unanimously speak of the Armenian “genocide”. 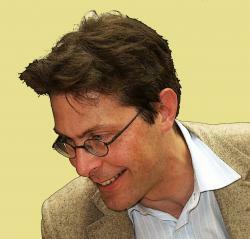 For example, recently the German radio station Deutschlandfunk broadcast an interview with the distinguished Zurich historian Hans-Lukas Kieser, who had difficulty in providing a clear response when asked directly about the “intent to destroy”: Kieser stated that it was “difficult” to “find plans…that really demonstrate this intent one hundred percent…clearly in legal terms”. At the same time, Kieser affirmed that this intent was ultimately present, given the “whole organisation” and the “large scale” of the massacres. However, this cannot completely satisfy a jurist schooled in international criminal law and familiar with the difficulty of proving this intent. The intent to destroy constitutes a significant obstacle for genocide convictions. Indeed, for many (international) courts it has proved insurmountable and is the main reason why convictions for genocide under international law are extremely rare. The only examples of successful convictions in international courts are the Yugoslavia Tribunal’s Srebrenica trial and some sentences passed by the Rwanda Tribunal for the genocide perpetrated by the Hutu against the Tutsi. At the ICC, genocide proceedings are currently only taking place against Sudanese President Omar al-Bashir (who has just been re-elected!) for the alleged crimes carried out in the Darfur region of Sudan. Whether this will end with a conviction is doubtful, not least because of the difficulty to prove the intent to destroy. Given the lack of evidence, such as an order to destroy a particular group, a conviction will usually only be successful if the destructive intent can be derived from the circumstances of the respective conduct – in line with the old doctrine of dolus ex re (intent derived from the objective facts). None of this excludes at the outset that the crimes committed against the Armenians may indeed merit a genocide verdict based on a comprehensive review of the available sources. However, in light of the difficulties demonstrated above, the charge of genocide is not one to be brought lightly. We should also remain aware of the differences between the Armenian case and the Holocaust perpetrated by the National Socialists. The latter’s classification as genocide is based upon documentary evidence (especially the infamous document of the Wannsee Conference on the Final Solution to the Jewish Question) that clearly proves the Nazis’ intent to destroy the Jewish people. Furthermore, this intent was confirmed in a large number of trials, such as the Jerusalem Eichmann Trial and the Frankfurt Auschwitz Trials, even though in the German trials the prohibition of retroactivity meant that genocide – subsequently incorporated into German law – could not be applied as a criminal offence. In Nuremberg, the Nazi perpetrators were actually charged with genocide – despite the prohibition of retroactivity and the lack of a clearly defined offence – and some of them even convicted of it (as a crime against humanity!) in the famous Jurists’ Trial (on this see Kevin J. Heller, The Nuremberg Military Tribunals, OUP 2011, pp. 249-50). Concerning the question of Armenia, we can conclude from all of this that no final judgment should be made before a report has been presented by an independent historical commission duly advised by international criminal lawyers. The author is grateful to Margaret Hiley, M.A., Ph.D., for her invaluable assistance in the preparation of this English version. First, a point of order: The word “stigmatisation” is derived from “stigmata”, i.e. the wounds received by the Christ on the cross. These wounds are a sign of suffering, not a mark of evil behaviour of the person who bears them. Later on, several persons (among them St. Francis of assisi and P. Pio of Pietrelcina) allegedly have received the stigmata as a sign of special grace, allowing them miraculously to participate in the redemptory suffering of Christ. Whether one believes, or does not believe, in such stories is not the question here – but very clearly bearing the stigmata is a sign of sanctity, i.e. the opposite of what Mr. Ambos uses the term for. More to the point: if “genocide” cannot be used for the Armenians, and only with difficulty for the Nazi Holocaust, then the term appears rather useless. It should be clear that both deserve the strongest condemnation – the Armenian genocide not less than the Holocaust, for which it was the fore-runner. The interesting question is whether “genocide” requires the intent of physically destructing all members of the target group, or whether it only requires the intent of destroying the group as such, i.e. to dislocate it from its traditional zone of settlement and its dispersion across the world, so that after one or two generations it simply does not exist any more as a group. The intention to physically destroy all members of the target group very clearly was given in the case of the Holocaust (at least as from the Wannsee conference), but very probably also in the case of the Armenians. By contrast, if the term “genocide” were to be interpreted in the second sense, then it could pe applied to situations such as the deportation of the Crimea Tatarians, the Chechens, the Wolga Germans, and others, under Stalin, or to the expulsion of ethnic Germans from Poland and Czechoslovakia after 1945. The Sudeten Germans or Eastern Prussians today do not exist any more as ethnic groups – yet one cannot say that Poland or Czechoslovakia acted with the intent of physically destroying (nearly) every member of the groups they wanted to get rid of. thank you. One of the best pieces I have read on this emotional topic this far. Thank you for your article, but I disagree with you and I believe the disagreement is fundamentally based on who gets to decide whether something is genocide or not. Armenia and Armenian activists are primarily seeking political recognition rather than judicial adjudication of the Armenian Genocide. Legal prosecution is essentially impossible due to the age of the events, the lack of development of international law, and the points you raise on retroactivity, which the majority of people would accept. The part that people would not accept is that “’Genocide’ is nothing but a legal term.” As a lawyer, I’m often at fault for focusing on legal definitions, but genocide has both legal and non-legal definitions and lawyers can’t ignore the latter. The OED defines genocide as “[t]he deliberate and systematic extermination of an ethnic or national group.” Any educated person can understand that definition and attempt to apply it. And this is why it’s unfair for you to chastise that poor historian who was asked to play the role of a lawyer. No one should require a historian to know the legal definition and its subsequent burden of proof before they’re allowed to make a statement on the past. The burden required for criminal conviction in a court is not the appropriate standard to use in historical review. Historians—using their field’s standards and methodologies—have reached consensus that the historical records is sufficient to show “deliberate and systematic extermination” against the Armenians. This consensus is sufficient to allow lay people to use the expression Armenian Genocide without equivocation in non-legal spaces. Would that historical record be enough to prove “intent to destroy” in a court of law? I don’t know, and I hope some lawyers work together with historians to answer that question. Finally, Armenia’s goal of political recognition without legal liability isn’t inherently fruitless. Turkey has reacted very negatively to the statements made by European leaders recognizing the Armenian genocide. If enough pressure is put on Turkey, then it may be willing to work with Armenia to settle the conflict. From my perspective, it is problematic when the legal definition of a concept such as genocide becomes significantly divorced from its societal understanding. A broader societal conception of genocide can lead to false expectations concerning how particular situations should be labelled in a legal sense, i.e. it can generate a false hope amongst the public that particular situations will be legally recognised and classified as genocide. In such circumstances, either greater efforts should be made to deter the trivialisation of the concept of crimes against humanity, or proposals should be brought forward to amend the legal definition of genocide to bring it more in line with societal expectations. Great Britain, France, and Russia had condemned the massacres as “crimes against humanity.” Genocide as such was not known as an international crime at the time and, yes, to prosecute persons for “genocide” as such with respect to conduct occurring in 1915 would violate human rights to freedom from ex post facto prosecutions. However, if crimes against humanity were crimes under customary international at the relevant time, there would be no such problem. Today, it is recognized that genocide is a specific type of crime against humanity — and, by the way, the specific intent that can be proven by circumstantial evidence does not have to involve an intent to destroy a relevant group, but can involve an intent to destroy “in part.” And Jacob, yes, some cases have recognized that destruction of a group does not require “physical” destruction of the members of the group, but destruction in whole or in part of the group as such through one or more of the various forms of conduct set forth in Article II of the treaty. Barrie: I don’t know exactly what you mean by “extermination,” but genocide merely requires an intent to destroy in whole or in part. Perhaps you would include extermination in part within your definition of extermination, but genocide can already occur if there is an intent to destroy in whole or in part and relevant conduct involves “killing members” of the group (e.g., as few as 3, 5, 8 direct victims). Moreover, genocide can involve other forms of conduct listed in Article II if any one of such occurs with the intent to destroy in whole or in part (note: some of the others require additional mens rea). I found the paper extremely thought-provoking. Thanks Barrie. However, in my opinion the proposed amendment goes too far, since there would be no need for an intent to destroy part of one the four groups listed in Article II — which is the basic “evil” involved with genocidal targetings — perhaps especially since what is covered is already a CAH. The proposal also goes farther than the 1946 UN GA Res. which included “political” group targetings or politicide, since there would not be a requirement that persons were killed in connection with an intent to destroy part of a political group. First of all, thanks for the interesting read. However, need to raise several points both as a lawyer who studied international law and as an ethnic Armenian, who is a descendant of Ottoman Empire’s Armenian and Greek subjects. So the author basically questions two things – (1) retroactive application of the Genocide Convention; (2) the existence of the special intent. Starting with the first point – I am afraid the author misses the point, invoking the nullum crimen sine lege principle, which is simply irrelevant. The principle belongs with international criminal law, whereas the Armenian Genocide issue at least currently is not related to individual responsibility. It is not that the main authors of the genocide are alive – as a matter of fact the majority of those have been assassinated a few years after the Armenian Genocide (notably some have even been found guilty for the 1915 events by the Ottoman domestic courts). So it is an issue of state responsibility. That Genocide Convention does not apply retroactively is of course not an issue to argue here – that issue has been already finally addressed by the ICJ in the Croatia v. Serbia judgment (para. 97). Retroactive application of the convention and the retroactive application of the term are completely different issues not to be confused. Linking the application of the term to the Genocide Convention would basically mean that the same acts would at some point qualify as genocide in one state, while those would not count as genocide in another. In terms of the law, the issue is not in the applicability of the Genocide Convention, the issue is whether the customary law at the time (inter-temporal law) prohibited the intentional destruction of groups of people. But for the starters – did international law at all prohibit states from violence against their own population or was it part of the sovereign prerogative of states. In this respect reference must be had to the practice of states, while the long overtortured dispute over the retroactivity of the Genocide Convention is completely pointless. Claim of impossibility of retroactive application has long become populistic in its nature. Turning to the practice of states: (1) there are over a dozen of military interventions from 1827 to 1908 initiated by the European powers against Turkey in the name of protection of minorities from state violence (all accompanied by statements on unacceptability of such treatment); (2) conventions, binding inter alia Turkey, creating undertakings to protect minorities – the 1878 Treaty of Berlin could be the best example, since its Article 61 provided for an obligation “to carry out without further delay the ameliorations and reforms which are called for by local needs in the provinces inhabited by Armenians, and to guarantee their security against the Circassians and the Kurds” (notably according to the ICJ obligation to prevent violence necessarily implies prohibition of directly committing such violence, see Bosnia v. Serbia, para. 166); (3) there is the 24 May 1915 combined declaration of the Entente states, condemning Turkey for the crimes perpetrated against Armenians; (4) there is the 1919 Report of the Commission on the Responsibilities of the Authors of War and on Enforcement of Penalties which spoke of the necessity to punish individuals engaged in violations of the “laws of humanity”; (5) there are also the Ottoman Tanzimats (decrees) and Constitutions of 1839 (Edict of Gülhane), 1856 (the Ottoman Reform Edict), 1876 (Constitutions), 1908 (Young Turks’ Proclamation) all granting the subjects of the Empire the right to life (notably the ICJ treats domestic laws as state practice – see Germany v. Italy, para. 70) etc. Thus Turkey had both a customary law obligation and a treaty law obligation not to destroy its Armenian population. So Turkey did breach international law whatever the name of those actions. Now – can we use the term “genocide” retroactively to qualify the acts of Ottoman Turkey? Yes we can – as I said it is a term. The term “dinosaur” was invented much later than all of them died – yet we call them dinosaurs. Genocide is genocide if it is genocide and not because of the Genocide Convention. So much for the semantics. Now, the claim that the legal term “genocide” has a specific stigma attached to it is tantamount to the creation of the “not-a-genocide” defense or a “no-special-intent” immunity, which means that everything short of genocide is justified or at least should not be publicly acknowledged. The best answer to such views was given by Benjamin Ferencz – who suggested asking the victims whether they care if they had died due to genocide or due to persecution or extermination. Turning to the issue of the special intent. It seems that the author wants to see a specific plan of extermination charted on a sheet of paper in order to be convinced of existence of the special intent. That is not how the ICTR or ICTY have operated. The latter have deduced the intent form the general context of acts, “the fact of deliberately and systematically targeting victims on account of their membership of a particular group, while excluding the members of other groups” (Akayesu, 2 September 1998, para. 523; Rutaganda, 6 December 1999, para. 398; Jelisic, 5 July 2001, para. 47.) or from the pattern of purposeful action (Kayishema, 21 May 1999, para. 93; Musema, 27 January 2000, para. 167), “scale of atrocities committed, their general nature, in a region or a country” (Akayesu, para. 523), as well as from the words and deeds of perpetrators (Kayishema, para. 93). All of the above are clear in case of the Armenian genocide, which involved human losses exceeding the Rwandan genocide and the Srebrenica genocide, was accompanied by adoption of laws on “abandoned property” and expropriation of the belongings of the Armenian population (strange thing to do if there is no intention to kill them and there is only a temporary removal from houses), creation of liquidation commissions, all that was preceded by declarations like the 26 February 1915 statement calling Armenians the enemies of the state or even accompanied by statements such as the one made by Talaat Pasha in his response to the US Ambassador Henry Morgenthau, stating that Turkey had “got to finish them” or otherwise “they [would] plan revenge” (cited in Geoffrey Robertson’s Report “Was There and Armenian Genocide?” http://groong.usc.edu/Geoffrey-Robertson-QC-Genocide.pdf). Now for the heirs of the victims – it is not the applicability of the G word that is important for us. It is the understanding of incapability of living on historical lands (on which Armenians had statehood long before the creation of the Turkish states), the continuous denial of historical heritage, destruction of cultural heritage, the understanding that the property of a whole ethnic group was expropriated and utilized for the benefits of a state, whose continuation the Republic of Turkey is, all that coupled with continuous denial of the illegality of the above, that is offensive. And it is statements like the one made by Joachim Gauck or Pope Francis that at least slightly restore our belief in international justice.